Venetian Gothic is a term given to an architectural style combining use of the Gothic pointed arch with Byzantine and Moorish architecture influences. The style originated in 14th century Venice with the confluence of Byzantine styles from Constantinople, Arab influences from Moorish Spain and early Gothic forms from mainland Italy. The most important element of gothic architecture is the sign of pointed arches. 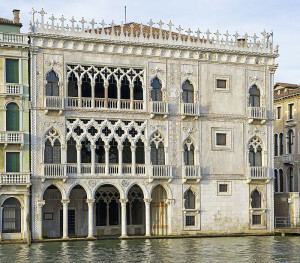 Venetian Gothic architecture is unique to Venice because it is designed to acquire lightness and grace of the building. Other cities in Europe favored heavy buildings. Architects never allowed any more weight than what was necessary to support a building, because they believed every inch of the city was valuable because of the canals running through the city. Tracery: in Northern Europe, traceries only supported stained glass. 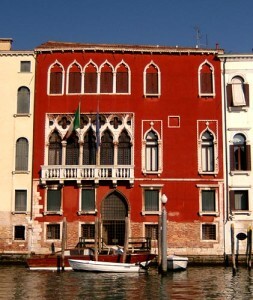 In contrast, traceries in Venetian Gothic supported the weight of the entire building. 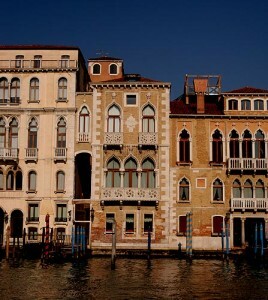 Colours: they were also an important aspect to Venetian architecture. They mostly included rich colors as in dark reds, muted yellows, and bright blues. During the Renaissance, however, the colours were gradually softened to more natural colours. WHERE we can find THIS STYLE today. The most iconic Venetian Gothic structure is the Doges’ Palace (Palazzo Ducale in italian). 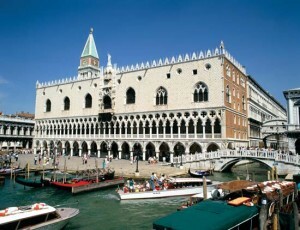 It is one of the main landmarks of the city of Venice in northern Italy. The palace was the residence of the Doge of Venice, the supreme authority of the former Republic of Venice, opening as a museum in 1923. 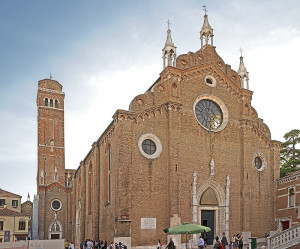 Another important example of Venetian Gothic ecclesiastical architecture is Santa Maria dei Frari, a Franciscan church, originally built in the mid-13th century but rebuilt in Gothic style in the 15th century. This church was still very similar to those found in the rest of Italy, the main difference was the building materials. One of the older palaces in the city is known as Ca’ d’Oro (“golden house”) due to the gilt and polychrome external decorations which once adorned its walls. 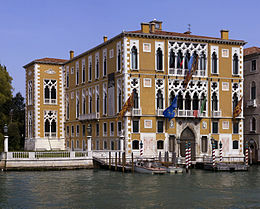 Since 1927, it has been used as a museum, under the name Galleria Giorgio Franchetti.